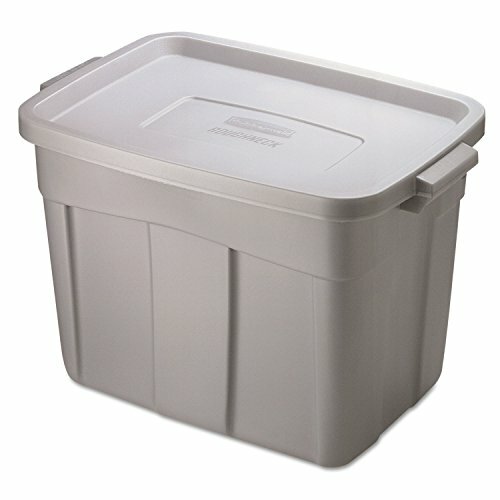 How To DIY a Storage Tote Litter Box - No "Kitten" Around; This is Easy! 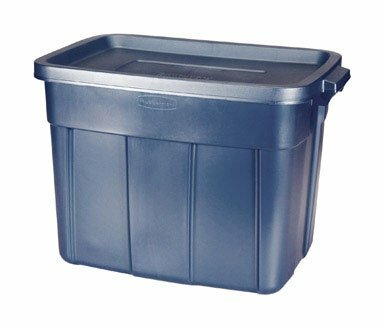 How To DIY a Storage Tote Litter Box – No “Kitten” Around; This is Easy! Hi guys, guess what – not too long ago I finally scrapped that messy litter pan and DIY-ed my furkids a storage tote litter box! You can too, if you relate to my story and are looking for a dirt cheap, practical and FUN way to give your little guys a safe, secure place to 💩 and give yourself a break, from sweeping up all that dadgum tracked litter they scatter around when they do their, um, business. I’ve made several variations of this no-mess wonder, and will walk you through them all, one of these will work regardless of your cat’s age or size. 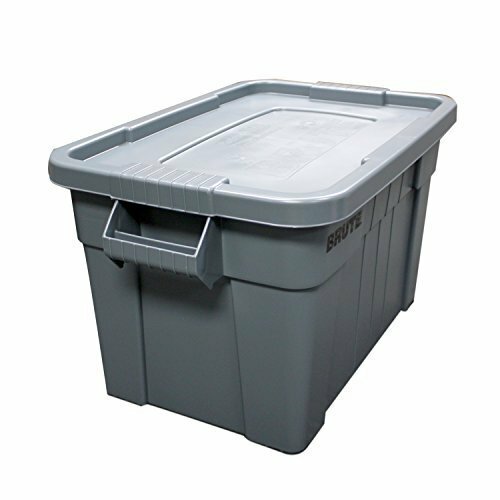 🐱 Should Your DIY Cat Litter Box Be Top Entry or Sideways? 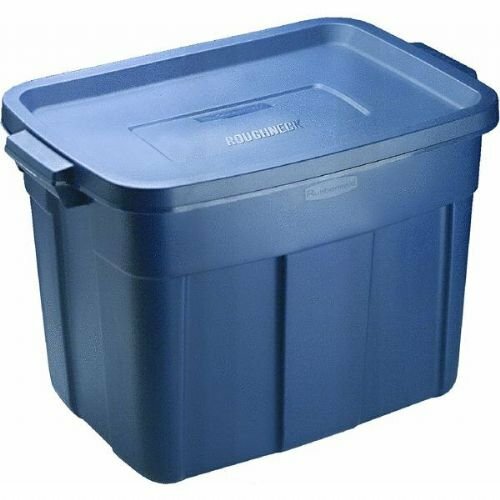 For this you’re going to need one of those larger sized Rubbermaid totes storage containers; 18 gallon size is the best; your cat will have plenty of room. It also needs to have the lid that comes with it too. 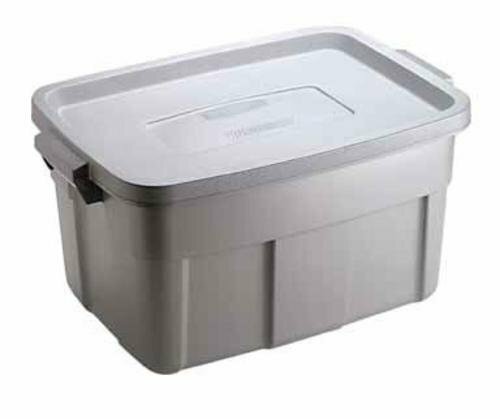 There are other brands of these storage totes, but I believe Rubbermaid is the best because the containers are made of a flexible (yet tough) polypropylene. Other brands I’ve seen, are made out of some kind of hard plastic that will crack if you attempt this method. As a side note, when I first got my youngest cat, Sputnik, he was only about 3-4 months old and had a hard time climbing into his siblings’ 18-gal Rubbermaid tote litter box. So I ended up getting a 10 gal one that was shallower and easier for the little guy. Worked very well. But when little Sputnik grew bigger he was happy to upgrade to the 18 gal. Also want to point out this diy cat litter box is a top entry design. Why? Yes, I have seen people cut openings in the side or front. Different strokes for different folks, but I like top entry much better – it’s much neater, and all of that stray litter will be neatly contained. Most of it, anyway…whatever litter strays will just stay on top. When that happens, I just detach the lid and dump the litter straggles back into the box. Easy-peesy! Now it might not work for kittens, but adult cats will be just fine. Also, as far as perching places go, my cats have the bathtub and laundry hamper nearby to leap from, so height with a top entry box is not a problem. 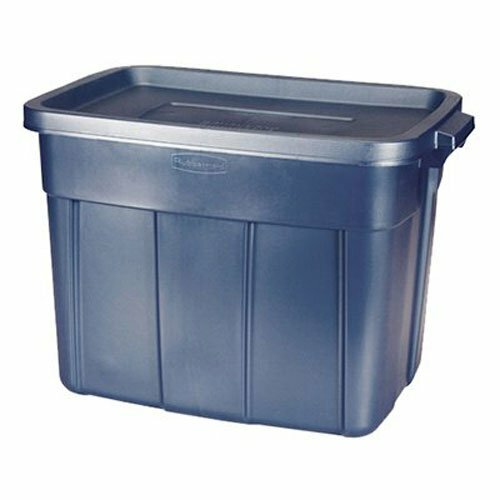 OK…Grab your round object and place it on your storage tote with the lid on…Oh, and if you prefer a square opening instead and have an object nearby that’s the right shape and size, that’s cool too, if you want. Choose a placement to the left or right, whatever you prefer, and trace around the round object. You may want to use a Sharpie so the line will show up. Using the cutting tool of choice, cut around this line…When executed correctly you should be left with a nice round hole. The round hole may have some jaggedy edges left over from cutting. Use some sandpaper and smooth the opening down so your kitties don’t get scratched going in and out…which they’ll be doing a lot of 😊. I did this part here to try to further add a protective edge….Put some tape around the opening…it is tricky going in a circle with tape so I had to do it in pieces. A square hole, obviously, will allow tape to go in a straight line. Also, if you like, feel free to decorate your box if you’ve got some stickers or washi tape around, just for grins. I don’t know if cats notice stuff like that, but it’s fun. Don’t forget to fill it up with litter! (duh) or it’ll be just another hiding place. Only thing is you will still have to scoop out the 💩 but this makes it a lot easier to manage (plus not stepping on so much of those messy granules is a plus ) Enjoy!